After her father passes away, seventeen-year-old Rosie is forced to live with her abusive stepmom Lucy and her deadbeat boyfriend, Judd, who gives Rosie the sort of looks you shouldn’t give your girlfriend’s step-daughter. Desperate for a way out, Rosie would do just about anything to escape the life she’s been handed. Then she finds a letter her dad wrote years ago, a letter confessing that Rosie's birth mother isn't dead, as she believed, but alive somewhere—having left them when Rosie was a little girl for reasons he won't reveal. Rosie resolves to find her birth mom, and she'll put everything on the line to make that happen. She hires a PI paid for by her best friend, Mary, who turns tricks for money. Unlike Rosie, Mary's no delicate flower and when she sees the opportunity to make some cash and help out her closest friend, she takes it. Romance blooms when the PI Rosie hires hands the case off to his handsome nephew Mac, but Rosie struggles to keep her illicit activities with Mary a secret. Things begin to unravel when Rosie starts getting creepy anonymous texts from johns looking for Mary. And then there's Mary, the one person Rosie can count on, who's been acting strangely all of a sudden. As Rosie and Mary get closer to finally uncovering the truth about Rosie's mom, Rosie comes face to face with a secret she never saw coming. With the ultimate unreliable narrator and twists and turns around every corner, Rosie Girl is an unforgettable tale of identity, devotion and desperation. That, fellow bookworms is how you write a book! Bravo, Julie Shepard, bravo! Rosie, Girl will capture you heart from page one. I finished this book in nearly one sitting; believe me, I tried to slow down and savour every moment, but I simple couldn't peel my eyes away. I devoured it, searching for the answers just as desperately as Rosie. Rosie, Girl stole my heart and has yet to give it back. In this character driven novel the author weaves a delicate tale about a young girl and her fervent quest for answers. Shepard also tells the story about fierce friendship and the lengths these girls will go for one another. It's equally heartwarming as it is heartbreaking. There are moments that will make you cringe, gasp and tie your stomach in knots. There are moments that will make your heart flutter, skip a beat and your lips turn up in a smile. If like me, you will immediately fall in love with Rosie. Given the hand that she was dealt she is, for the most part, a happy teenage girl. She has a great sense of humour that makes some harsh moments a little bit lighter. Mary is tough as nails. There is some darkness that follows her around, and when reading, you will find out why, but one thing is undeniable, Mary and Rosie are deeply connected, a bond that is unbreakable. I adored Mac. Another quick-witted character that lightened up the mood at times. He was also a kind and gentle character that put his soul into helping Rosie. It was a treat watching their friendship and relationship unfold. Now, I am not one for spoilers, but I will tell you, just when you think the book is going one way, Julie Shepard will blast you with the shock of a life time. A literally gasped and was left jaw-dropped by the last page. Rosie, Girl stole my heart! Do đã đặt nền móng ở Việt Nam từ nhiều năm, chất lượng dịch vụ cho người chơi cá độ online của M88 vượt trội so với các đối thủ, kèm theo đó là những chính sách khuyến mãi cá độ thường xuyên, nên đã rất nhiều người ở Việt Nam chơi cá độ qua mạng đã lựa chọn đăng ký M88 để chơi. Có thể nói rằng đây là nhà cái là một trong những nhà cái cá độ qua mạng có số lượng người Việt Nam chơi đông đảo nhất hiện nay cùng với nhà cái 188bet. This site now looking more beautiful. I am a regular visitor of this site. Every times i got new book information from this site. I am a book lover. 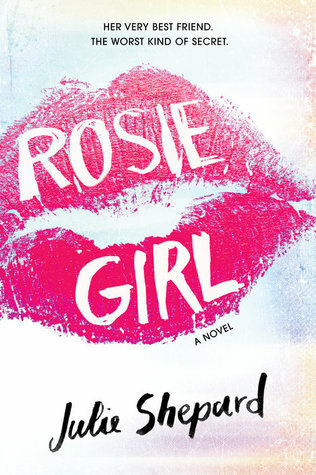 I did't read ROSIE, GIRL BY JULIE SHEPARD. I hope, i will enjoy this book. Actually, I am in Interior Decoration. We give the solution of Window treatment like window shutters Florida, Blinds Sarasota. But my passion is reading book.